Despite Isaac’s preference for his oldest son, Rebecca knows very well that Jacob rather than Esau must be groomed for greatness, and she thus encourages Jacob to pretend to be his brother and take the blessing for himself. 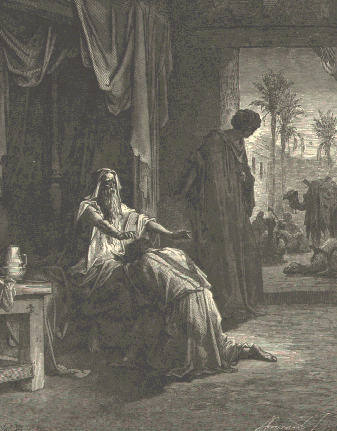 When Isaac learns that Jacob deceived him, he is described as being “seized with a violent trembling” and when Esau discovers his brother’s dissimulation he weeps and responds to his father with the agonizing “Have you but one blessing, Father? Bless me too, Father!” We know from various events throughout the parashah about Esau’s unsuitability for continuing the legacy of Abraham and Isaac. Before this episode, he sells his birthright to his brother Jacob in exchange for a bowl of lentil soup, later on he displeases his parents by taking two Canaanite wives rather than marrying women from his own tribe. Yet it is difficult not to empathize with Esau’s cries here, and we naturally wonder, why couldn’t Isaac have blessed both Esau and Jacob in equal measure? Was Jacob’s guile the only way to address this imperfect scenario, or could an alternative solution have been found?